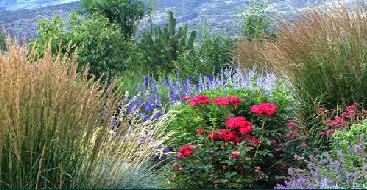 Artful Gardens Landscape Design and Installation provides personalized, attentive garden design, renovation, and landscape maintenance in the Roaring Fork Valley. Located in Basalt, Colorado, Artful Gardens creates exquisite gardens and provides skilled maintenance services for people who care about their outdoor environment. Whether your budget is $500 or $50,000, if you want a special garden experience, we are the right choice. Specializing in renovating existing gardens, creating garden environments, lovely plantings, garden rooms, and the three P’s - patios, pergolas and pathways - we’ve been serving discriminating customers from Glenwood Springs to Aspen since 2001. Artful Gardens is run by a true garden designer, advanced master gardener, and plant enthusiast with a passion for beautiful gardens. Our gardens flourish and are distinctive the first year. When you want PLANTS, not just plants, and you don’t want a cookie cutter landscape, you should use Artful Gardens. Artful Gardens has been an active member of the Associated Landscape Contractors of Colorado since 2001. We subscribe to their superior standards and best practices for landscape design and installation, and regularly attend their educational programs. We stay informed on all the latest problems and solutions specific to our area as they occur and evolve. This assures the most current information will be utilized in your landscape installation and care. We help you avoid future problems by taking great care to create sustainable landscapes. We carefully consider soil, shade, placement and design for your particular site and needs. We know you don’t want trees that die, shrubs that outgrow their space too quickly, or plants that don’t perform well. Our special soil amendments and treatments for plants and trees ensure they thrive, outperforming other landscapes where plants are plopped in the ground. Only top quality tree and plant material is used, and is guaranteed for one year. Courteous and conscientious service, with highly trained, uniformed, English-speaking gardeners. We offer complete garden care, all designed specifically for Colorado's challenging high altitude environment. Our rates are competitive. You receive excellent value for your investment. Artful Gardens is dedicated to turning imaginative ideas into beautiful gardens and creating out-of-the-ordinary landscapes that reach out to, and delight, discriminating homeowners in the Roaring Fork Valley. We keep our company small to offer the personalized service and efficiencies our customers want and focus on our Core Services - garden and container maintenance and installing spectacular new gardens and garden “rooms”. We feel that service suffers when you grow too large and have multiple projects going at one time. Our owner, Jae Gregory, prefers to spend time each week in each customer’s garden, working with our very well trained crews. We love projects that integrate different garden areas to make the most of your space, and we have a great team for these, including an Interior Designer to make outdoor rooms feel like your living room, an Irrigation specialist to adapt existing irrigation to new garden areas, a wonderful stonemason for more involved walls, steps, and patios, and a construction crew for pergolas, decks and garden structures. For over six years we planted and maintained a half-acre test garden right here in our valley to conduct our own trials of plants and shrubs one can usually only see in nursery containers. Featuring over 400 varieties of perennials, 100 varieties of shrubs, and 56 varieties of specialty evergreens, this was a unique opportunity to see how they really perform in our area, and try new plant and shrub combinations to find the very best and most beautiful for our clients. It allowed us to try seldom-used plant material in actual gardens, testing various conditions and verifying growth, attractiveness, and ease of care. We now use our database of plants and shrubs we tested to better serve our customers through hands-on knowledge of the plant material.